Wedding day will be one of the best days in your life. The wedding day is one of the most important days in our lives. 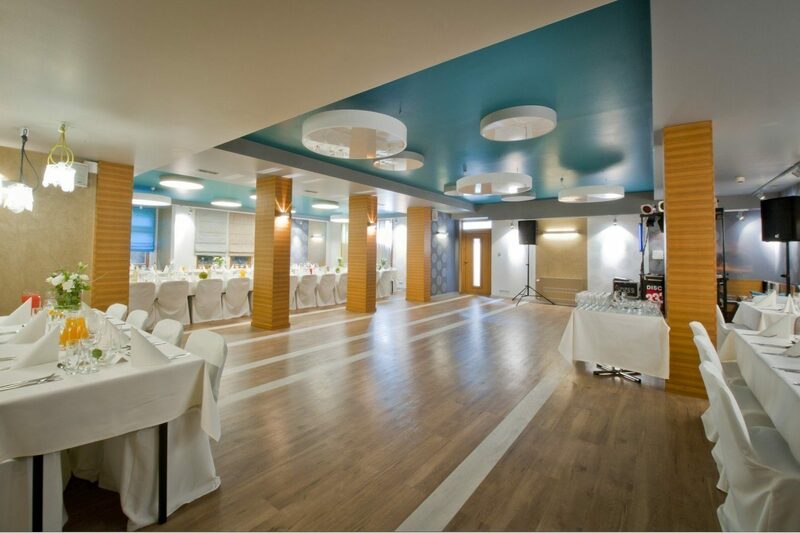 We would like to offer the organisation of wedding receptions at our hotel, which may boast many years’ experience. This combined with the elegant interior, superb cuisine and perfect service provides for an exceptional atmosphere. We place at your disposal a spacious wedding reception room that can seat up to 100 people, where we can hold an elegant, exquisite reception, and a restaurant room, which is a perfect place for organising meetings for up to 40 people. 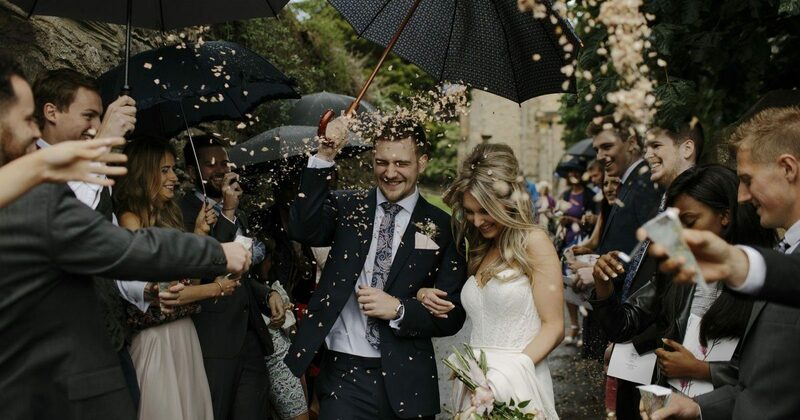 The beautiful garden will meet the expectations of newly-weds who wish to have their wedding organised in the garden. We have a hotel garden which offers lots of opportunities. A comfortable patio, located near the restaurant, is a perfect place for relaxation. Please find below menus (ranging from PLN 170 to 200). Please be also informed you that each menu is adapted to the individual taste and needs of our clients. We would like to invite you to visit our hotel, see the room and discuss the details. In case of any problems, do not hesitate to contact us. "I recommend this place for a wedding reception." It’s a great hotel if you want to organise a reception for up to 80 people. 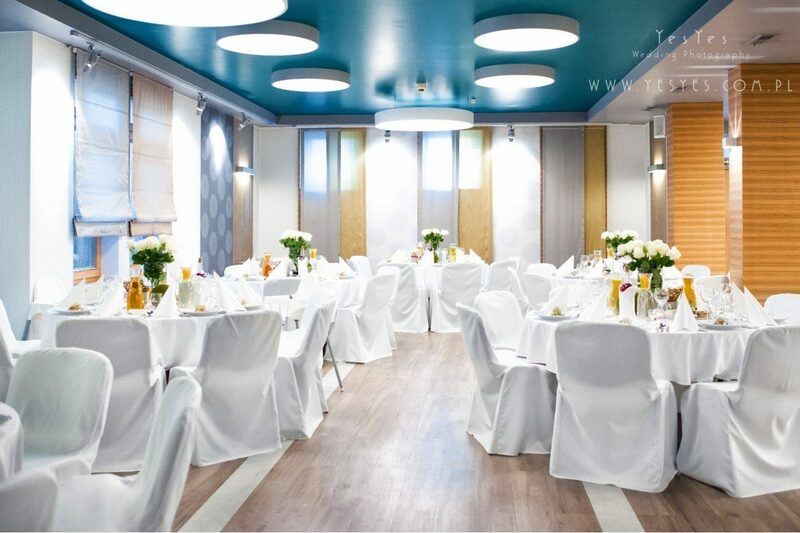 The room is divided into the dancing part and the dining part, a good layout of tables. There are no problems as regards making arrangements with the Manager. Perfect service during the reception. Delicious food. The rooms for hotel guests were clean and tidy, breakfast served in the form of a buffet was tasty. I can recommend this place. It was our pleasure to organise our wedding reception at the Perła Hotel in August 2017. 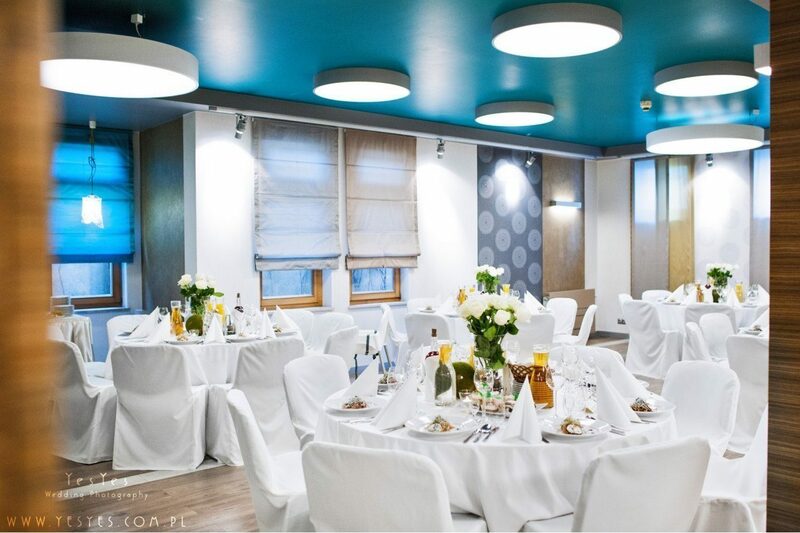 Perfect organisation of the reception, professional service, delicious food and a nice atmosphere. We would like to say special thanks to Sabina, the cook, and the whole staff who served our event. We recommend this place to everyone.